It&apos;s the beautiful, ruggedly natural setting; the incredibly gorgeous views; the passion you can pretty much feel in the air. Not only that but there are tons of fun things to do in this beautiful BC destination! It&apos;s everything combined that makes Kelowna pretty much the most romantic place to take your SO to. Tour of one of Kelowna&apos;s 40 award-winning wineries, all within a 30-minute drive of the city, to truly relax and experience one of the city&apos;s biggest attractions. Kelowna is known and loved for its wineries, and for one very good reason: they are simply amazing! Kelowna&apos;s wineries have won both national and international awards, and are definitely a major to-do when visiting the city. There are legitimately tons of wineries to choose from, but Kitsch, in particular, is one of our favourites, with beautiful, lush, vineyards to fun summer events, tours, tastings and a whole lot more to explore. Others like The Hatch and Vibrant Vine have some great events in the summertime as well and some even greater wine. You can also sip on some rosé at Sandhill Wines in the heart of downtown Kelowna. Take a farm-to-table food tour and immerse yourself in Kelowna&apos;s epic foodie scene. If you&apos;re into fresh, farm-to-table food (and let&apos;s be honest, who isn&apos;t?) then you&apos;re going to want to check out a farm-to-table food tour. It&apos;s basically a fun, new way to see exactly how your meal is going to be made: first, you experience a self-guided tour of a farm ( like Arlo&apos;s Honey Farm, Arndt Orchards or Okanagan Lavender And Herb Farm, which is a super romantic spot where you&apos;ll be surrounded by fresh flowers), and then you get to taste the magic at of Kelowna&apos;s many farm-to-table restaurants. While you&apos;re visiting, you can also enjoy a meal from some of the best chefs in the whole country. Eating at places like Krafty Kitchen and Oak + Cru is so, so much more than you could imagine. Both spots feature deliciously fresh dishes with locally grown ingredients; Krafty Kitchen is Kelowna&apos;s Farm-to-Table eatery and bar, while Oak + Cru offers outstanding plates and is located right on the water. Kelowna&apos;s cuisine comes straight from the source thanks to the abundance of Farm-to-Table eateries meaning you can actually visit the farms where your ingredients come from! Sip on some locally brewed craft beer at BNA Brewing Co while taking in Kelowna&apos;s views. As we&apos;ve said before, Kelowna is known for its above and beyond delicious wine. But their up-and-coming craft beer scene is quickly catching up. There are many distilleries and cideries to check out within Kelowna, as well as four different craft breweries for you to discover. 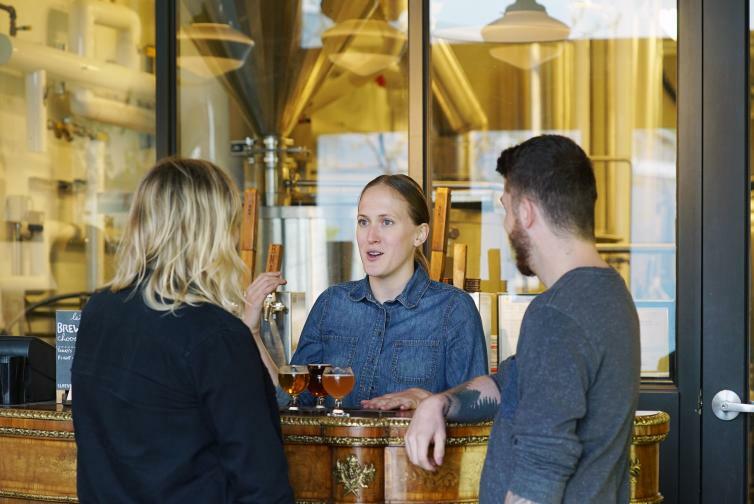 Breweries like Tree Brewing Beer Institute and BNA Brewing Co offer up craft beer tastings for all levels (from beer beginners to beer experts), plus food and drinks on a glorious patio - so you can really explore Kelowna&apos;s handcrafted beers. Who knows, your next favourite bevvy just might be brewing in Kelowna! 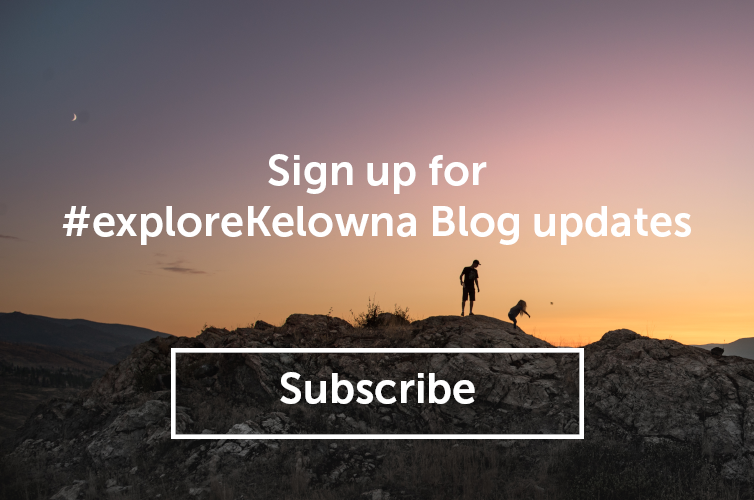 Go hiking at Knox Mountain and get up close and personal with Kelowna&apos;s beautiful natural views. Kelowna is pretty much fully surrounded by the rugged beauty of nature. Everywhere you look, you&apos;re going to see some gorgeous natural sights; so make sure to dive right into it by going on a hike! There are tons of great spots in Kelowna to go hiking. Knox Mountain is a gorgeous place to hike, have a picnic and look out over the lake. You can also check out Dilworth Mountain, where you can see some of the most beautiful views of the city. 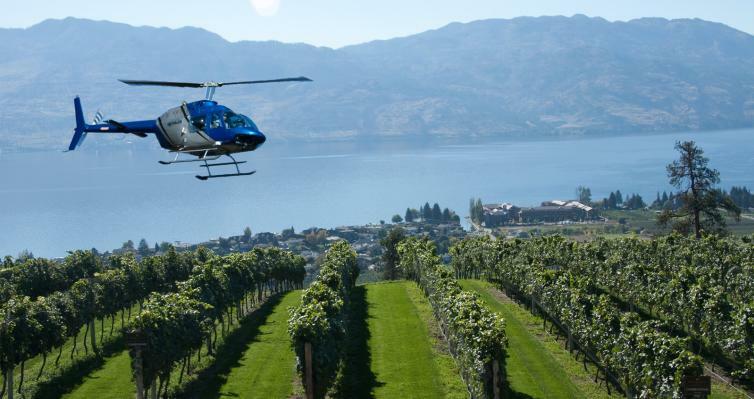 Hop onto a Valhalla Helicopter tour and check out the glorious Kelowna city views from the sky. Mountains, lakes, hills, and vineyards are just a handful of the beautiful things there are to see in Kelowna. And what&apos;s one of the most fun, adventurous and high-key romantic ways to get introduced to the city? By helicopter, of course! Kelowna&apos;s own Valhalla Helicopters offers heli tours for you and your date, so you guys can both sit back and enjoy the view. Visit one of Kelowna&apos;s gorgeous beaches, like Hot Sands Beach, to cap off an amazing trip. Beach lovers, rejoice. 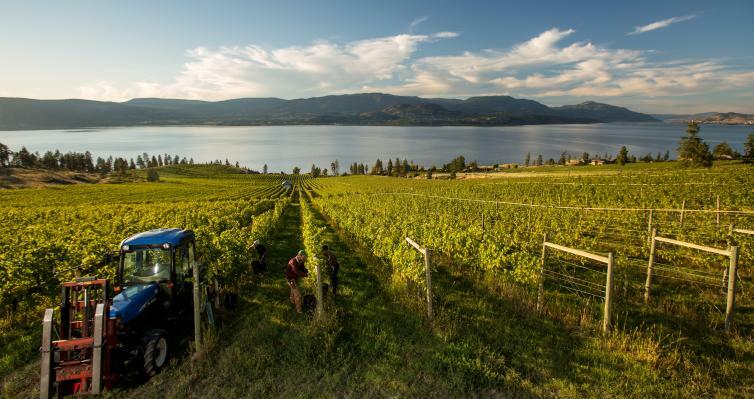 In addition to having some of the best vineyards in the world, beautiful views, culture, a lively foodie scene and some of the best beers around, Kelowna also boasts beautiful beaches. One such spot is Hot Sands Beach, a lively beach located right downtown, offering beautiful sunset views, volleyball courts, picnic tables and live music in the summer. 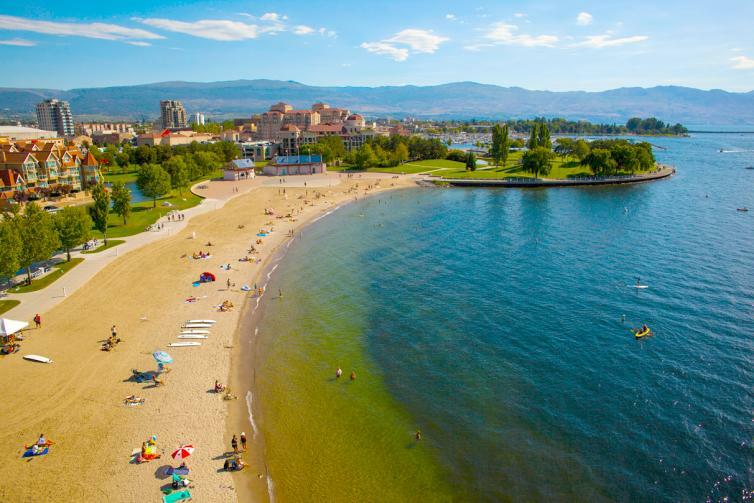 Kelowna has more than 30 beaches for you to choose from, so go ahead and take a jog along the boardwalk, pack a picnic, play volleyball or take part in some lake activities like fly boarding, wake surfing and more! 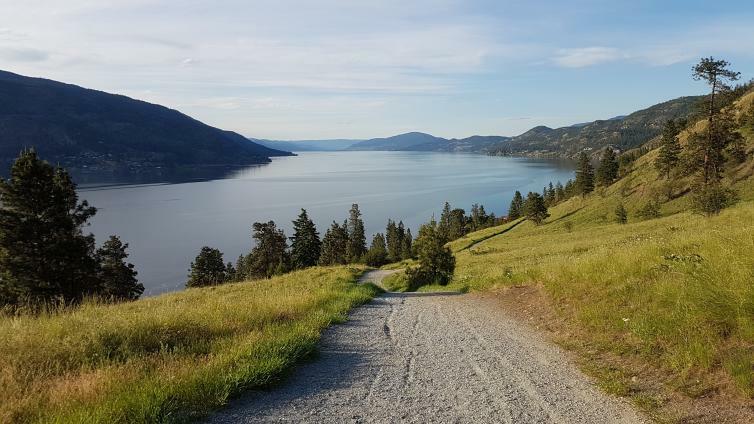 Wherever you end up, the most gorgeous views of the Okanagan will greet you. Put simply, Kelowna&apos;s just a straight-up cool place where you can indulge in amazing wines, food and views of the region. It&apos;s the perfect spot to check out for a vacation, an adventure, or just an all-around awesome time.